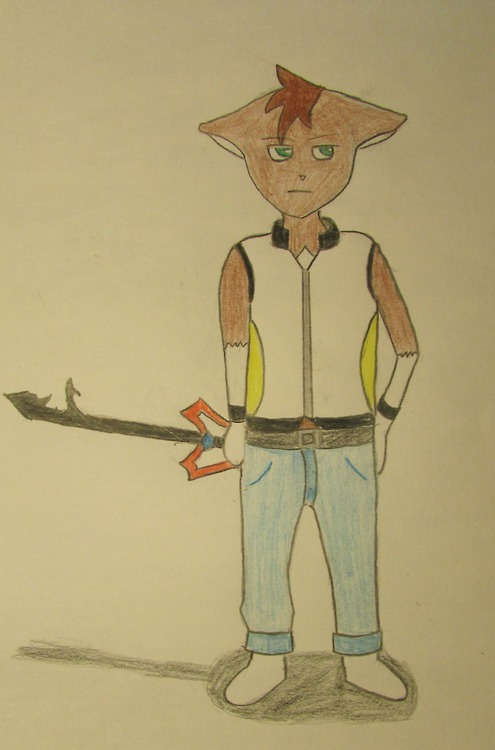 i made a few mistakes but it turned out... ok.... right after i colored the keyblade i hated it. also i know that is the wrong keyblade, i knew his recent one was beyond my capabilities so i picked his old one. oh and this made me realize i havent drawn many male charaters. also he accidentally turned out pudgy and short for some reason.